High blood pressure, also known as “hypertension,” is the number one reason people visit their doctor in the United States. Each year, more than 100 million doctor visits are made for medical management of this condition. High blood pressure is both a sign, as well as a causal factor, in heart attacks, strokes, and congestive heart failure, which makes it the leading associated cause of death and disability in westernized societies. Medical doctors overwhelmingly recommend drug therapy for this condition, making blood pressure drugs the number one prescription medication in this country. But is drug therapy the best approach? And, is it safe? This article will show that drug treatment is not the only viable treatment option, and that drug treatment is disturbingly dangerous. In fact, studies strongly suggest that for the majority of patients with high blood pressure, medications may be more dangerous than doing nothing at all. 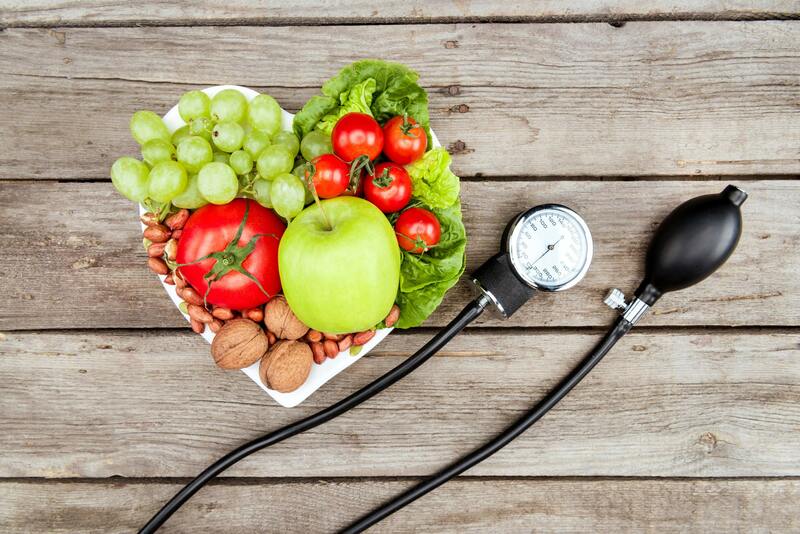 Fortunately, powerful diet and lifestyle treatment options exist that safely and effectively reduce high blood pressure. But don’t assume that your doctor will tell you about them because many doctors are simply unaware of the facts. Before exploring how to safely treat this condition, let’s look at what high blood pressure is and seek to understand why it is our nation’s number one public health concern. In doing so, it will become clear why medical management is generally so ineffective and why a safer, more effective approach — one that takes advantage of the human body’s built-in healing mechanisms — is often the best choice. 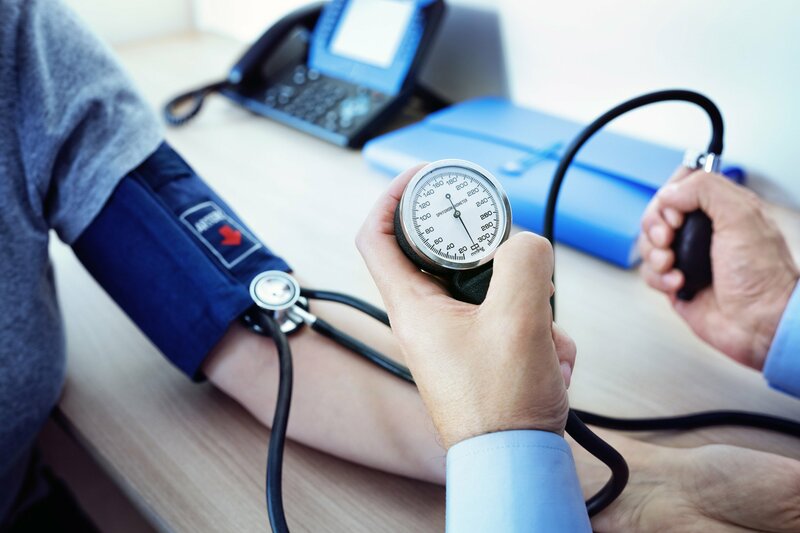 Although high blood pressure does not cause any pain and cannot be detected without a special device, it is clearly a serious health problem worthy of your rapt attention. But what is “blood pressure,” and what can cause it to become “high”? Similarly, your blood exerts a force against the walls of your blood vessels as it circulates through your body. The degree of this force is called your “blood pressure,” and it can be measured with a blood pressure monitoring device. Unlike the water pressure in the hot tub, however, human blood pressure is highly variable. In the hot tub, the water ejected by the jets comes in a steady, pressurized stream. But in the human circulatory system, blood pressure varies dramatically from one moment to the next. Your systolic blood pressure is always higher than your diastolic blood pressure and is always the “top” number when your pressure is reported. If your doctor tells you that your blood pressure is “120 over 80,” this means that your systolic blood pressure was measured at “120,” and your diastolic was at “80.” Both your systolic and diastolic blood pressure measurements are important because they indicate how well your circulatory system is working. If either of these measurements is unusually high, this warrants your serious attention. Because, as previously mentioned, elevated blood pressure may be not only a sign of cardiovascular disease, it is a cause of disease, as well. There are really no cut-and-dried definitions for high blood pressure. 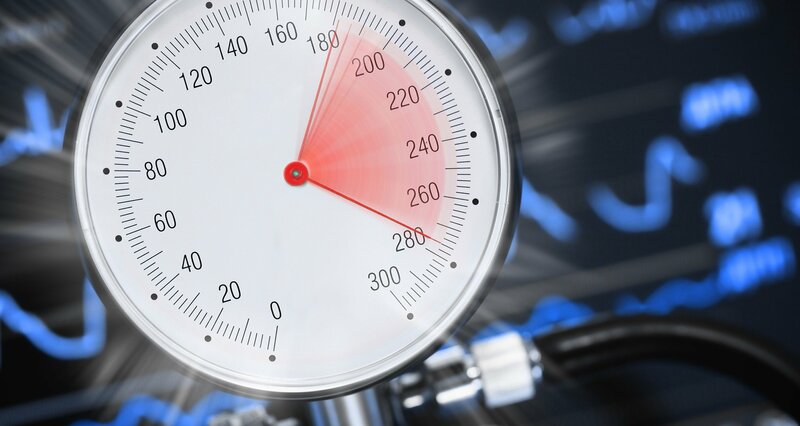 Researchers have used several different criteria to determine at what level a person’s blood pressure should be considered “high.” One very useful criterion is the concept that blood pressure is “high” when it reaches a level that corresponds to significantly elevated risk for heart attack, stroke, or congestive heart failure. One misguided criterion is the idea that blood pressure is “high” only when it reaches a level that can be effectively assisted by drug therapy. Over the years, these and other criteria have been bandied about, with the final result being a set of definitions that are not based upon any specific criteria but are still useful for communication purposes. Most people who are diagnosed with high blood pressure have what is referred to as “mild” high blood pressure. This means that their systolic blood pressure is between 140-159, and/or their diastolic blood pressure is between 90-99. Only when blood pressures are above 160/100 is a patient considered to have “moderate” blood pressure, and, at even higher levels, “severe.” These definitions can be quite misleading and are undoubtedly leading to many entirely preventable tragedies. What is considered “normal” is often pathological. For example, if a person has blood pressure of 136/88, it is considered “normal,” or perhaps “high normal,” since it is below the arbitrary 140/90 numbers. But such an individual has five times the risk of stroke of a person with blood pressure at 110/70! In fact, one-third of the people who die of heart attacks, strokes, and congestive heart failure have blood pressures that are below 140/90. The current definitions of “normal” or “high normal” blood pressure may give patients a false sense of security that may very well cost them their lives. Per current classification, even a person whose blood pressure has risen to 156/98 is considered to have only “mild” high blood pressure. Yet, this level is much more dangerous than even 136/88. Problems with Drugs: When Should Blood Pressure Drugs Be Prescribed? The current convention of diagnosing blood pressure as “high” beginning at 140/90 has created another set of problems. In multiple studies conducted by world leaders in high blood pressure research, drug treatments have been found to be surprisingly ineffective. In fact, there is no clear evidence that drug therapy reduces the risk of death in patients with “mild” high blood pressure, which is the majority of diagnosed patients! It also would appear that the dangerous “side effects” of high blood pressure drugs are sufficiently substantial to obliterate any positive effects of reducing mild high blood pressure in this artificial manner. In fact, the side effects of medications are sufficiently toxic that leading medical authorities suggest that medications only become worth the risks when blood pressure becomes “moderately to severely elevated” (160/100 or above). Typical side effects of high blood pressure medications range from mildly unpleasant to lethal. These include fatigue, gastric irritation, nausea, vomiting, diarrhea, dizziness, headache, impotence, depression, and congestive heart failure. Think back for a moment to the circulatory system in a hot tub. When the system is working as designed, there is a certain level of water pressure in the system. However, we could arrange things that would increase this level of pressure. One way would be to partially clog the pipes. In this way, the pressure in the whole system would rise, just as the water pressure in your garden hose rises when you put your finger over the spout and impede the flow. In the human circulatory system, it also is possible to “clog the pipes.” By consuming a diet that is excessive in fats, cholesterol, and animal proteins, it is possible to develop atherosclerosis, a condition of fatty deposits in the cardiovascular system. Over time, people can build up such significant deposits that their “pipes” are clogged up, to some degree. This is one of the main causes of high blood pressure and is one reason why high blood pressure tends to become more prevalent as people age. But this condition is not inevitable. 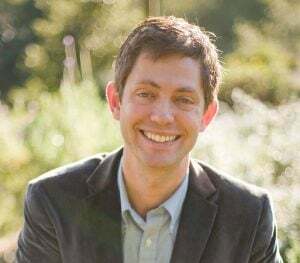 More encouraging still is the finding, by Dr. Dean Ornish and others, that this condition is reversible with dietary and lifestyle modifications, the first step of which is to adopt a plant-based diet derived from whole, natural foods. While “clogging the pipes” is a major cause of high blood pressure, there are other causes, as well. A second major factor is that excessive dietary salt causes there to be too much fluid in the circulatory system. We can see that two major causes of high blood pressure: atherosclerosis and excessive fluid in the circulatory system, are reversible, given dietary modifications. Such modifications directly address the causes of high blood pressure and thus might be expected to be quite effective. The curious reader might wish to know just how effective such dietary modifications are, as compared to the drug treatments offered by most doctors. A summary of results from a variety of studies on diet and lifestyle modifications, as compared with drug treatment, appears in Figure 1. As you can see in Figure 1, dietary and lifestyle modifications are very impressive as compared with drug treatment. In a study conducted by Dr. John McDougall and his colleagues, a program utilizing a moderately low-sodium, vegetarian diet with moderate exercise resulted in an average blood pressure reduction of 17/13 in just eleven days! This is particularly striking when we compare these results with medications, which have been found to reduce blood pressure only about 12/6 points, on average. This should be encouraging for those who have been told that they must take blood pressure medication for the rest of their lives. As you examine Figure 1, you may observe that the real key to the treatment of high blood pressure is to practice a diversity of health-promoting behaviors. 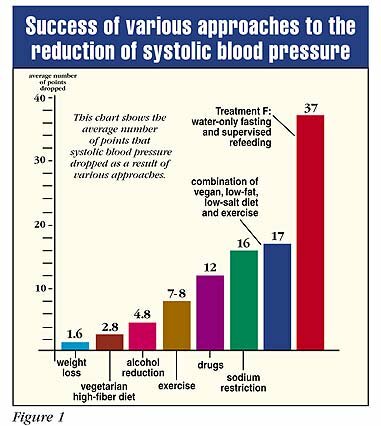 By avoiding alcohol use, stopping smoking, switching to a high-fiber, low-sodium, vegan-vegetarian diet, and engaging in moderate, regular exercise, the problem of high blood pressure usually will eliminate itself. However, as alluded to at the beginning of this article, high blood pressure is not only a sign of distress in your cardiovascular system but also a cause. If your blood pressure is elevated above what is normal and healthy for our species, the pressure itself causes damage to arterial walls of your circulatory system, which can facilitate the build-up of atherosclerosis and, thus, exacerbate the high blood pressure condition itself. 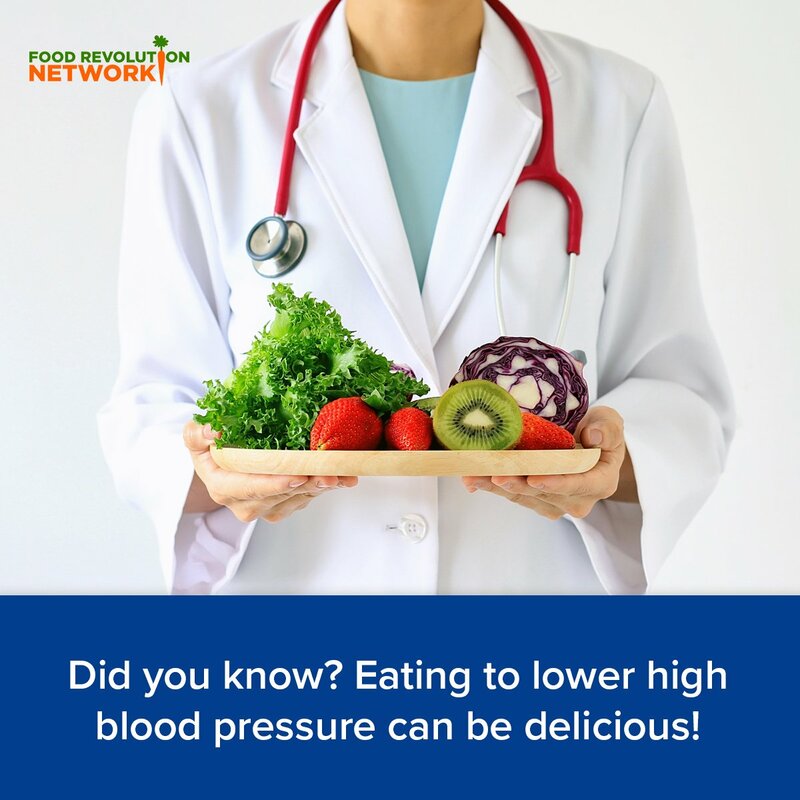 For this reason, it can be useful to reduce high blood pressure as quickly as possible, rather than to patiently wait for the often-moderate healing pace of healthful lifestyle changes. Is There A Way to Lower Blood Pressure Quickly? Is there a safe and effective way to rapidly normalize blood pressure? Indeed there is, and the results of this method represent nothing less than a breakthrough in the treatment of this condition. The power of this method is hinted at in Figure 1, the method referred to as Treatment F.
As you can see from Figure 1, there is one treatment option that significantly outperforms all others, labeled Treatment F.
Treatment F is not a new drug treatment. Neither is it a new, expensive, and patented dietary supplement. It is supervised, water-only fasting, a technique that allows for the induction of a potent, natural, adaptive, healing process in a professionally monitored environment. It may seem incredible to many that supervised water-only fasting can obtain such impressive results. In fact, most people, including most doctors, simply will not believe that such a simple procedure can be so powerful. Few suspect that the body is so capable of healing itself in this way. In the study, funded in part by a grant from the National Health Association, it was discovered that by having patients consume nothing but pure water in a supervised environment of complete rest, blood pressures rapidly normalized. In fact, many patients who began their fasts while on high blood pressure drugs were required to quickly discontinue their medications, so that their blood pressures would not drop artificially low! In the final analysis, this safe and simple procedure demonstrated extraordinary effectiveness. By the end of their stay, all patients were able to discontinue their medications, no matter how severe their initial condition. Contrary to what many people have been led to believe, high blood pressure is not a condition that requires patients to take drugs for the rest of their lives. If you suffer from this silent but serious condition, start taking effective actions today. As described above, there are many things that you can do to assist your body in regaining a healthy level of blood pressure. The first thing to do is to adopt a diet consisting of whole, natural foods, such as fresh fruits and vegetables, whole grains and legumes, and the variable addition of nuts and seeds. Remember, the optimal diet excludes any added salt, since it is a particularly troubling component of the high blood pressure problem. In addition, this diet has been shown to aid in the reversal of atherosclerosis, and in weight reduction. Other important factors that will help to normalize blood pressure include regular exercise and the elimination of alcohol and tobacco. When followed diligently, such a combined strategy is likely to be very effective. 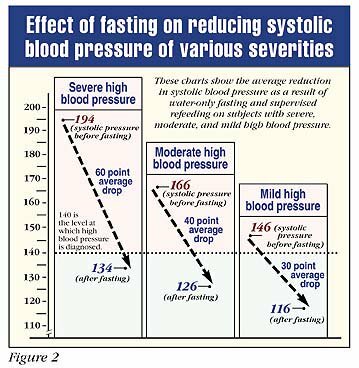 For those who wish to address their high blood pressure problem quickly, powerfully, and safely, supervised water-only fasting has been shown to be a safe and effective tool for the rapid normalization of blood pressure. Follow-up data from the Center for Conservative Therapy study has shown that after several months, patients who adhere to a healthful dietary regimen are able to sustain their improvements. In addition, water-only fasting is a useful method for helping people to re-educate their palates. This can make it easier for you to fully enjoy a simpler, more health-promoting diet and the benefits of vibrant, unmedicated, health for the rest of your life. Editor’s Note: Are You Interested in Using Water Fasting Or a Residential Cleanse Program to Lower High Blood Pressure And Reset Your Health? Fasting can be a powerful healing tool, and it’s been used for thousands of years. But only recently have research studies started to uncover the incredible potential of fasting for a variety of medical challenges, including high blood pressure. 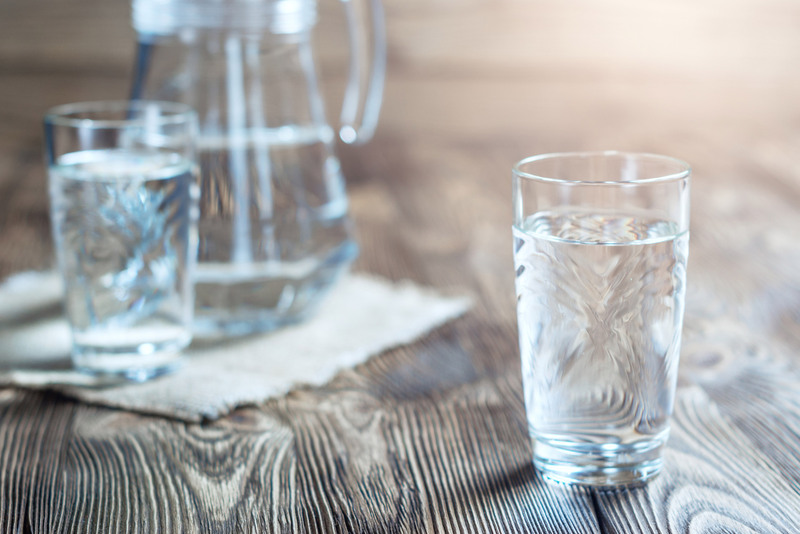 For more about the benefits and science behind water fasting, check out Dr. Joel Fuhrman’s book Fasting and Eating for Health: A Medical Doctor’s Program for Conquering Disease. Joel Fuhrman, M.D. has just opened a brand-new Wellness Center in California, designed for (longer) monthly stays, where guests under his care get help achieving dramatic weight loss, resolving food addiction and emotional overeating, and reversing serious diseases. He incorporates fasting and vegetable juices when appropriate at his retreat. TrueNorth Health Center in Santa Rosa, California, offers highly effective medically supervised water fasting and cleanse programs. It’s heartening to know that we have natural treatments that can lower high blood pressure naturally. And unlike most of the blood-pressure-lowering drugs, the side effects of healthy eating are good ones — like increased energy, expanded mental clarity, and better sexual function. I’d call that a win! Does this article change how you think about high blood pressure? What are your experiences with high blood pressure? Do you know or have you used any ways to lower blood pressure naturally?